It may only happen once every four years, but loyal sports enthusiasts have come out in droves this year to watch the winter Olympics in Pyeongchang, South Korea and to support their country and favorite teams. While the Olympics have a way of naturally bringing communities together, creating this self-sustaining buzz during an incredibly short period of time, what do we do for the rest of the year? Fortunately, professional hockey, baseball, basketball, football, soccer, tennis, cricket, boxing, rugby, (oh and don’t forget Formula1), are always around to keep us cheering and on the edge of our seats until the next Olympics. And while the sports marketers at sporting organizations and team franchises work hard to connect fans with the teams they adore, how can they up their game? True, they already have a deeply dedicated and engaged fan base, but those fans are a thirsty crowd. They want more engagement and conversation with the teams, with the players, with the organization or franchise, and with other fans. Sometimes keeping up with this demand is challenging so it’s important to understand the conversations taking place. Additionally, how can sports organizations and team franchises maintain brand loyalty, expand their fan base, and increase ticket sales? 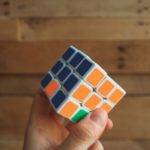 Boosting engagement among fans is one of the best ways to achieve all of this, and sports marketers can leverage content marketing in order to keep up with their fans’ seemingly insatiable appetite for more conversations while at the same time growing their sporting organization or franchise. 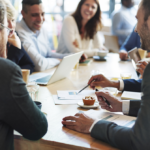 Below are six content marketing tips to help build deeper relationships with fans, improve engagement, grow your brand, and so much more! Fans have more invested in their teams and the players than we may ever realize, so be sure their voice is heard and that they know this matters to you. Ask for feedback through surveys or post questions on social channels to get conversations started. This can be a great way to get direct insight into what fans want. 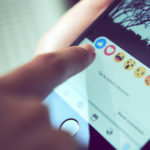 Pay attention to their thoughts, trending ideas, questions, and reactions, across social media platforms, with priority given to Facebook and Twitter. This not only boosts engagement but will give sports marketers a good sense of what content will resonate best with your fan base. Another great way to give a voice to your fans is by inviting fans to tell stories related to great experiences and memories they had such as the first game they attended as a child. Ensure it supports your overall strategy and turn it into incredible content to showcase across social and web properties to boost engagement. Complementary to the above, make it easy for your fans to get some skin in the game too. One way to achieve this is through sending emails to fans with an exciting call to action that will drive more traffic back to your website or fan microsite. A good call to action could be running a contest during game time. Sports fans are 67% more likely to use Twitter to enhance their viewing experience so considering leveraging this social platform during a game time contest to both track and boost engagement. Providing fans access to the players they admire and idolize is an extremely effective way to grow engagement and it can come in many forms. Videos that feature player stories or player interviews will drive views and comments on social, but the most engaging (and potential for viral) player stories are the emotionally driven – like the one featured on Libris blog capturing Notre Dame’s Matt Farrell who got a surprise visit from his brother who was deployed in Afghanistan. While this one went viral, other interesting initiatives could be a peek into their players’ lives, behind the scenes footage, or a day at home with a player and his family. And don’t forget about direct access to players. 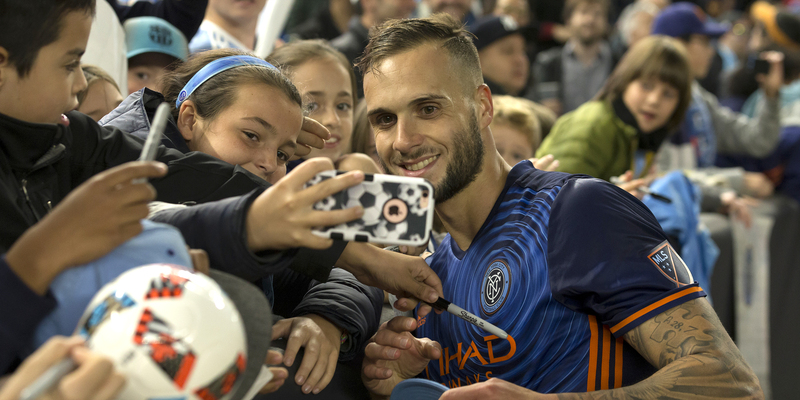 Events where fans can actually meet players, take selfies, and get signed autographs creates many fan memories and generates a ton of shares on social. A simple example was when the Braves invited fans to take selfies with players as part of a farewell campaign to Turner Field. Again, just be sure your initiative ties back or supports your original content strategy. Last but certainly not least, create amazing content. In sports marketing you know you need to stand out from the pack and that mediocre content won’t get you far. The good news is that by being bold and publishing great content, you will be rewarded! Fans are ever so willing to engage with your brand’s amazing content through shares, likes, or comments, and will choose organic content over any TV or digital advertising (another good reason to stop throwing money into advertising to boost engagement). Also, incorporate live video experiences into your content marketing mix, and be sure to live stream the experience to those fans around the world. Ensure they have an easy way to interact and engage with your organization and other fans as well. 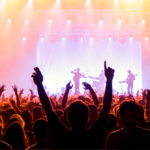 73% of B2C marketers cite live events as one of their content marketing tactics. Sports content marketing can be an exhilarating and rewarding experience. Just remember, fans don’t see themselves as consumers. They’re part of the team and therefore will demonstrate incredible loyalty and support. By providing quality content and leveraging the content marketing tips above, fan engagement will get a boost, leading to new fans, a stronger brand/franchise, better sponsorship deals, and increased revenue. Want to learn more about boosting your fan engagement? 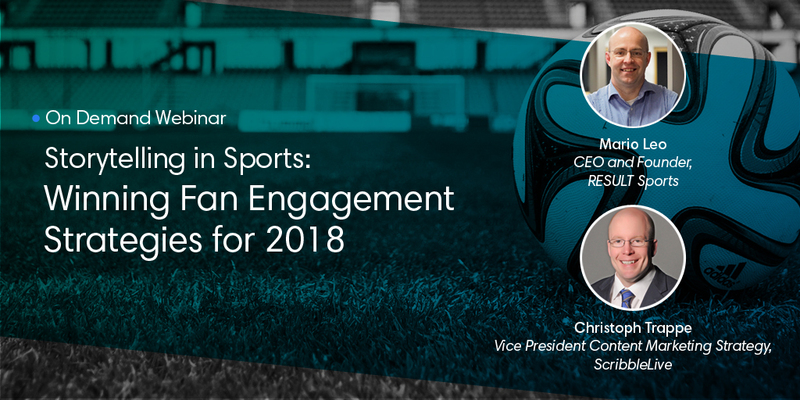 Check out our on-demand webinar: Storytelling in Sports – Winning Fan Engagement Strategies for 2018.